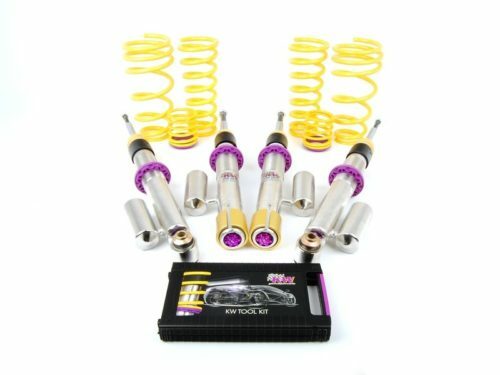 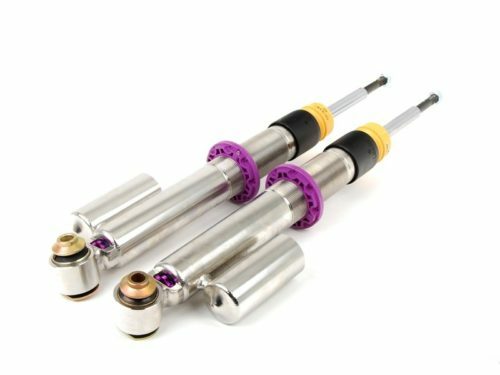 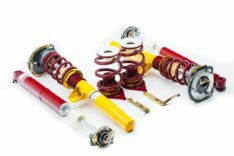 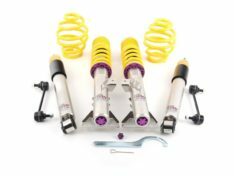 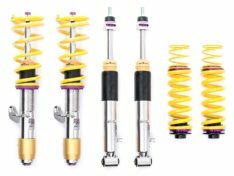 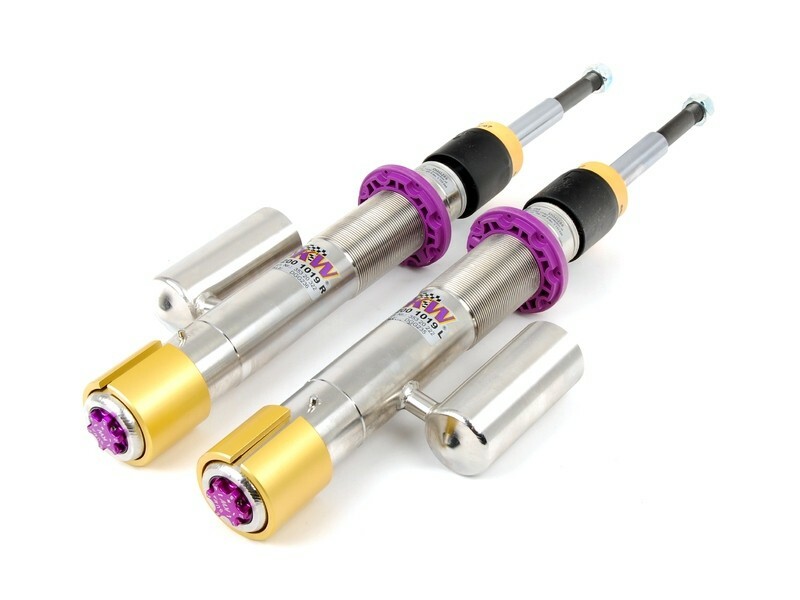 The KW V3 coilovers offer a track worthy package for the street with its dual dampening technology. 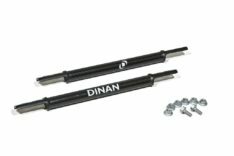 The separate and independently adjustable rebound and compression dampening allows for the end user to fine tune their suspension setup for the ultimate in handling. The unique patented system with its two-stage valves allows a rebound damping adjustment (comfort) and a compression adjustment (driving dynamics) in the low-speed range while the high-speed range which controls the driving safety, is fixed.